WARNING - THIS DOCUMENT IS DEPRECATED (NOT RECOMMENDED) AND UNMAINTAINED. We suggest you look to the top of the docs for information on the currently recommended hardware setup instead. As of November 2017 there are new and simplified Raspberry Pi setup instructions linked from there. The instructions below should only be used for troubleshooting purposes if the new instructions aren’t working. NOTE IT IS CRITICAL it goes just below ‘iface wlan0 inet manual’ If you put it above this line your Pi Wifi will not work! Note: There are two setup flows described on this page. The one toward the bottom of the page is the older setup instructions that worked back in the day. The one at the top of the page (all prefaced with “newer path”) is an attempt by someone to make the Pi instructions work for Pi3 and Pi0W. There may be issues with BOTH setups, so please do make PRs to this page and/or discuss on Gitter about which setup flow works. Save the .hex file for use in the next step. Instruments in their instruction sheet. Make sure Pi is powered down and unplugged. The Pi should start up with this screen. Set correct keyboard and country. A. Change Hostname and password (default password is raspberry)to what you want. B. If you are in the U.S. choose U.S. and International for the keyboard. NOTE: we will work in root. NOTE: This will unpackage nodejs and try to remove the legacy version. IF the legacy version does not exist ignore the error messages pertaining to that..
5. Copy and paste code then press enter. 6. Copy and paste code then press enter. NOTE: it will default to America. Arrow down and select USA if you are in the US. Then arrow to the right and highlight ok. Then choose time zone and arrow to OK.
7. Copy and paste code then press enter. NOTE: I HAVE NOTICED LINUX CAN BE VERY FUSSY AT TIMES. if IT GIVES AND ERROR copy and paste each line 1 at a time and press enter after each. 1. Select this line of code and paste into terminal window to update pi firmware and press enter. 4. At the top left of screen select menu/ Preferences/Raspberry Pi Configuration and check all settings. Fix if needed. Write down ip address. You will need this to SSH into Pi. NOTE: From this point forward we will use SSH to comunicate with Pi. Note: change every line in your original where you see it different here. This is important. Follow the main docs for installing openaps, oref0, and getting your loop running. Only works if your phone and provider allow Bluetooth tether The Raspberry Pi can be tethered to a smartphone and share the phone’s internet connection. Bluetooth tethering needs to be enabled and configured on the phone device and your carrier/plan must allow tethering. The Raspberry Pi 3 has an inbuilt Bluetooth Low Energy (BLE) chip, while a BLE USB dongle can be used with the other Pi models. The main advantages of using BLE tethering are that it consumes less power on the phone device than running a portable WiFi hotspot and it allows the Raspberry Pi to use whatever data connection is available on the phone at any given time - e.g. 3G/4G or WiFi. Some have also found that power consumption on the Raspberry Pi is lower when using BLE tethering compared to using a WiFi connection, although this may vary depending on BLE USB dongle, WiFi dongle, etc. The adapter is now discoverable for three minutes. Search for bluetooth devices on your phone and initiate pairing. The process varies depending on the phone and the dongle in use. The phone may provide a random PIN and bluetoothctl may ask you to confirm it. Enter ‘yes’. Then click ‘pair’ on the phone. Instead, the phone may ask you to enter a PIN. If so, enter ‘0000’ and when bluetoothctl asks for a PIN, enter the same code again. Either way, bluetoothctl should inform you that pairing was successful. It will then ask you to authorize the connection - enter ‘yes’. Your paired phone should be listed (in this example, a Google Nexus 6P). Copy the bluetooth address listed for it; we will need to provide this later. Now trust the mobile device (notice that bluetoothctl features auto-complete, so you can type the first few characters of the device’s bluetooth address (which we copied previously) and hit to complete the address. NOTE: Whenever you see ‘AA:BB:CC:DD:EE:FF’ or ‘AA_BB_CC_DD_EE_FF’ in this guide, replace it with the actual address of your mobile Bluetooth device, in the proper format (colons or underscores). echo "GPU => $(/opt/vc/bin/vcgencmd measure_temp)"
Note 1: This page talks about setting up the Raspberry Pi with a Carelink USB stick. If you chose the TI stick for your first setup, you’ll need to utilize directions in the mmeowlink wiki for flashing your TI stick, then return here to continue on with the OpenAPS setup process. Note 2: Setting up a Raspberry Pi is not specific to OpenAPS. Therefore, it’s very easy to Google and find other setup guides and tutorials to help with this process. This is also a good way to get comfortable with using Google if you’re unfamiliar with some of the command line tools. Trust us - even if you’re an experienced programmer, you’ll be doing this throughout the setup process. Note 3: Since bluetooth was included on the Raspberry Pi 3, changes were made to the UART configuration that require additional steps. Detailed RPi3-specific OpenAPS setup instructions can be found here. In order to use the RPi2 with openaps development tools, the RPi2 must have an operating system installed and be set up in a very specific way. There are two paths to the initial operating system installation and WiFI setup. Path 1 is recommended for beginners that are very new to using command prompts or “terminal” on the Mac. Path 2 is considered the most convenient approach for those with more experience with coding and allows the RPi2 to be set up without the use of cables, which is also known as a headless install. Either path will work and the path you choose is a matter of personal preference. Either way, it is recommended that you purchase your RPi2 as a CanaKit, which includes everything you will need for a GUI install. Note: If you ordered the recommended CanaKit, your SD card will already come imaged. However, if you don’t already know whether it’s Raspbian 8 Jessie or newer (see below), just treat it as a blank SD card and download and install the latest version of Raspbian (currently version 8.0, codename Jessie). Raspbian is the recommended operating system for OpenAPS. If you don’t plan on running a graphical user interface on your Raspberry Pi, you can download the ‘lite’ version of Raspbian here; the image is much smaller and will download and write to your SD card more quickly. If you require a full graphical user interface on your Raspberry Pi, download the latest version of Raspbian here. Make sure to extract the disk .img from the ZIP file. If you downloaded the full GUI version above, note that the large size of the Raspbian Jessie image means its .zip file uses a different format internally, and the built-in unzipping tools in some versions of Windows and MacOS cannot handle it. The file can be successfully unzipped with 7-Zip on Windows and The Unarchiver on Mac (both are free). You can also unzip it from the command line on a Mac, by opening the Terminal application, navigating to the directory where you download the ZIP file, and typing unzip <filename.zip>. Insert the included USB WiFi into the RPi2. Next, insert the Micro SD Card into the RPi2. First, insert your USB keyboard and USB mouse into the RPi2. Next, connect your RPi2 to a monitor or T.V. using the included HDMI cable. Finally connect your RPi2 using the power adapter. You should see the GUI appear on screen. As of 12/11/2016 the Raspberry Pi Foundation is disabling SSH by default in Raspbian as a security precaution. To enable SSH from within the GUI, open up the terminal window and type sudo raspi-config. On the configuration menu that opens, scroll down and choose Interfacing Options and then navigate to ssh, press Enter and select Enable ssh server. Configure WiFi per the instruction pamphlet included with your CanaKit. For those not using the CanaKit, click the computer monitors next to the volume control in the upper-right side and there will be a drop-down menu of available WiFi networks. You should see your home network. If you have trouble connecting to the RPi2 via WiFi, check your router settings. The router may need to be switched from WEP to WPA2. Once you have installed Raspbian, connected to WiFI, and enabled SSH you can disconnect the mouse, keyboard and HDMI cable. Remember to keep your RPi2 plugged in, just disconnect the peripherals. Also remember to never disconnect your RPi2 without shutting it down properly using the sudo shutdown -h now command. If you are unable to access the Pi and must power it off without a shutdown, wait until the green light has stopped flashing (indicating the Pi is no longer writing to the SD card). You can now skip to Test SSH Access and SSH into your RPi2. As of 12/11/2016 the Raspberry Pi Foundation is disabling SSH by default in Raspbian as a security precaution. To enable SSH, create a file called ssh and save it to the boot directory of the mounted drive. The file can be blank, and it has no extensions. This will tell your Pi to enable SSH. Once you connect to the Pi, you’ll want to set up your wifi network(s). It is recommended to add both your home wifi network and your phone’s hotspot network if you want to use OpenAPS on the go. Input wpa_passphrase "<my_SSID_hotspot>" "<my_hotspot_password>" >> /etc/wpa_supplicant/wpa_supplicant.conf and hit enter (where <my_SSID_hotspot> is the name of your phone’s hotspot and <my_hotspot_password> is the password). The dhcp tells the ifup process to configure the interface to expect some type of dhcp server on the other end, and use that to configure the IP/Netmask, Gateway, and DNS addresses on your Pi. The manual indicates to the ifup process that that interface is not to be configured at all. For further reading on the interfaces and wpa_supplicant.conf files, type man 5 interfaces or man 5 wpa_supplicant when logged into your Pi. 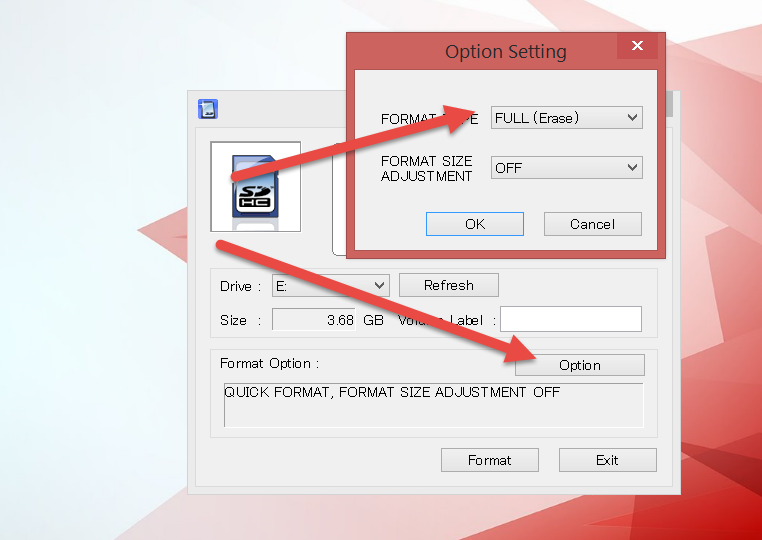 Keep the SD card in the reader in your computer. In this step, the WiFi interface is going to be configured in Raspbian, so that we can SSH in to the RPi2 and access the device remotely, such as on a computer or a mobile device via an SSH client, via the WiFi connection that we configure. Go to the directory where your SD card is with all of the files for running Raspbian on your RPi2, and open this file in a text editor. In this file you will list your known WiFi networks so your Pi can connect automatically when roaming (e.g., between your home WiFi and your mobile hotspot). You can add as many network as you need, the next reboot your system will connect to the first available network listed in your config files. Once the network to which your board is connected becomes unavailable, it start looking for any other known network in the area, and it connects to it if available. Log in using PuTTY. The Host Name is raspberrypi.local and the Port is 22. The login is pi and the password is raspberry. Type sudo nano /etc/wpa_supplicant/wpa_supplicant.conf and edit the file as described above. Make sure that the computer is connected to the same WiFi router that the RPi2 is using. Download PuTTY here. Hostname is pi@raspberrypi.local and default password for the user pi is raspberry. The port should be set to 22 (by default), and the connection type should be set to SSH. Click Open to initiate the SSH session. Make sure that the computer is connected to the same WiFi router that the RPi2 is using. Make sure that the iOS device is connected to the same WiFi network that the RPi2 is using. Download Serverauditor or Prompt 2 (use this if you have a visual impairment). Hostname is pi@raspberrypi.local and the default password for the user pi is raspberry. The port should be set to 22 (by default), and the connection type should be set to SSH. You probably also want to make your phone a hotspot and configure the WiFi connection (as above) to use the hotspot. Make sure that the Android device is connected to the same WiFi network that the RPi2 is using. Download an SSH client in the Google Play store. Hostname is pi@raspberrypi.local and the default password for the user pi is raspberry. The port should be set to 22 (by default), and the connection type should be set to SSH. You may need to ssh using the ip address instead; the app “Fing - Network Tools” will tell you what the address is if needed. Note: If connecting to the RPi2 fails at this point, the easiest alternative is to temporarily connect RPi to your router with an Ethernet cable and SSH in, making sure both the computer and the RPi2 are connected to the same router. If it says anything about Release 8 / Jessie, you have the correct version and can continue. Here you can expand filesystem to maximize memory, change user password and set timezone (in internationalization options). This will take effect on the next reboot, so go ahead and reboot if prompted, or run sudo reboot when you’re ready. Confirm that your keyboard settings are correct. Click on Menu (upper left corner of the screen, with raspberry icon). Mouse down to Preferences, and over to Mouse and Keyboard Settings. Click on Mouse and Keyboard Settings, then click on the Keyboard tab. Click on Keyboard Layout and be sure your country and variant are correct. For the US, it should be United States and English (US). It is imperative that you set the correct time zone at this step of the configuration process. OpenAPS will look at the timestamp of your CGM data, and the local time on the pump, when making recommendations for basal changes. The system also uses local time on the pi; so times and time zone need to match, or you will run into issues later. If the time zone is incorrect, or you haven’t done this yet, run sudo dpkg-reconfigure tzdata from the prompt and choose your local zone. You can setup a public/private key identity, and configure your local computer and the Raspberry Pi to automatically use it. This will allow SSH access to the Pi without requiring a password. Some people find this feature very convenient. If you don’t already have an SSH key, follow this guide from GitHub to create one. Now you should be able to log in without a password. Try to SSH into the RPi2 again, this time without a password. In this section some of the commands will be run on your local computer and some will be run on your pi. This will be identified in parenthesis after each command. If you don’t already have an ssh key, then run ssh-keygen (on your local computer - keep hitting enter to accept all the defaults). If you created a new key identity and accepted all of the defaults, then the name of the newly generated identity will be id_rsa. However, if you set a custom name for the new identity (e.g. id_mypi), then you will need to add it to your local ssh keyring, via ssh-add ~/.ssh/id_mypi (on your local computer). Next create a .ssh directory on the Pi: ssh pi@raspberrypi.local (on your local computer), enter the password for the pi user on the Pi, and run mkdir .ssh (on your pi). Finally, ssh pi@raspberrypi.local (on your local computer) to make sure you can log in without a password. Now you can consider installing watchdog, which restarts the RPi2 if it becomes unresponsive. sudo modprobe bcm2708_wdog - If this command does not work, it appears to be ok to skip it. Note: On the RPi3, the kernel module is bcm2835_wdt and is loaded by default in Raspbian Jessie. this should place it in the service file under the [Install] heading. The packages will take some time to install. If you’re running a headless Raspberry Pi, there’s no need to power the display circuitry, and you can save a little power by running /usr/bin/tvservice -o (-p to re-enable). To disable HDMI on boot, use sudo nano /etc/rc.local to edit the rc.local file. Add /usr/bin/tvservice -o to the file and save. The Raspberry Pi can be tethered to a smartphone and share the phone’s internet connection. Bluetooth tethering needs to be enabled and configured on the phone device and your carrier/plan must allow tethering. The Raspberry Pi 3 has an inbuilt Bluetooth Low Energy (BLE) chip, while a BLE USB dongle can be used with the other Pi models. Your paired phone should be listed (in this example, a Google Nexus 6P). Copy the bluetooth address listed for it; we will need to provide this later. Now trust the mobile device (notice that bluetoothctl features auto-complete, so you can type the first few characters of the device’s bluetooth address (which we copied previously) and hit to complete the address. NOTE: Whenever you see ‘AA:BB:CC:DD:EE:FF’ or ‘AA_BB_CC_DD_EE_FF’ in this guide, replace it with the actual address of your mobile Bluetooth device, in the proper format (colons or underscores).